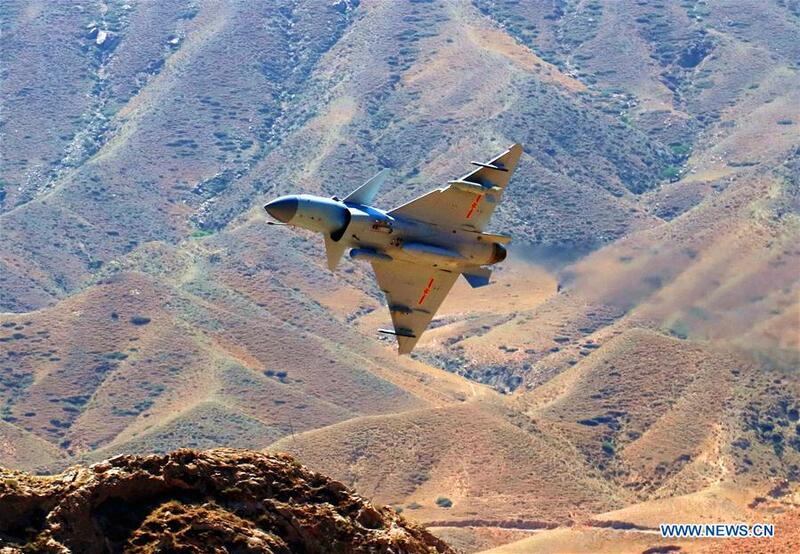 BEIJING, April 16 (Xinhua) -- China's new multi-role fighter jet J-10C began combat duty Monday, the People's Liberation Army (PLA) air force announced. Equipped with an advanced avionics system and various airborne weapons, the domestically-developed fighter has airstrike capabilities within medium and close range and is capable of precisely striking land and maritime targets, the air force said in a statement. It is China's third-generation supersonic fighter and made its debut when the PLA marked its 90th anniversary in July 2017 at Zhurihe military training base in Inner Mongolia Autonomous Region. The fighter will enrich the air force's offensive and defensive system and improve its capability to fulfill duties and missions, according to the statement. Shen Jinke, a spokesperson for the PLA air force, said that the air force will advance training and war readiness, and sharpen its striking, defensive, and air delivery capabilities. It will also firmly safeguard China's airspace security and national strategic interests in the new era, Shen said. The new jet is modified from the J-10 fighter jet and will help improve the air force's fighting and war-readiness capabilities, said Wang Mingzhi, a military expert. The air force is gradually building a combat system adapted to the need of informationized air warfare, comprised of heavy air superiority fighters such as J-11 series, multi-role fighters such as J-10 series and J-16, new-generation stealth fighters such as J-20, and medium and long-range bombers such as H-6K, Wang said.